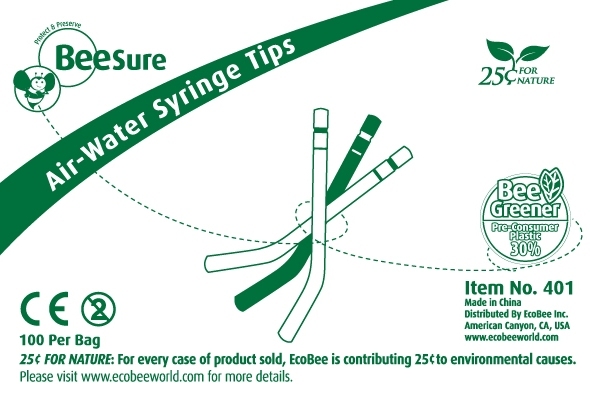 Interchangeable with most metal air-water syringe tips, economical BeeSure air-water syringe tips do not have a separate water core. Their rounded tip end provides maximum patientcomfort. The green colored tips are made of 30% recycled plastic and supplied 100 tips to a package.